CareerZONE is a campus resource that provides you with access to a variety of career and job search tools, and will help you connect and prepare for the world of work. From job postings, resume templates and online workshops CareerZONE is a Brock student’s one stop shop for everything career related! First, go to careerzone.brocku.ca and click the student login tab along the top. Your login information is the same as your student portal (one less password to remember!). 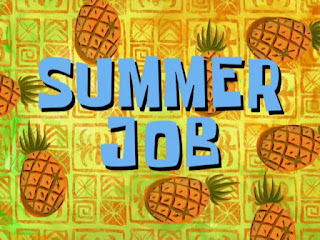 The CareerZONE job posting board has a variety of domestic and international summer jobs, volunteer opportunities, on-campus jobs, internships and full time jobs listed. Updated on a regular basis and not customized to any specific program, Brock students in all disciplines will find something that interests them on our job board. Throughout the year our department hosts a variety of career and job fairs, further education events, workshops and employer recruitment events. This calendar is being updated as new events are announced so check back often and don’t miss out on some amazing opportunities! Career & Job Search -> This section includes resources on general job search sites and interview tips, using LinkedIn and social media for your job search, Niagara Region employment and volunteer agencies and a link to the directory of Careers and Employment in Canada among others. Career Assessments -> Links to Career Cruising, Typefocus and Talentoday career assessments are listed in this section. To find out more about these assessments check out our previous blog posts on Career Cruising and Typefocus. Cover Letters, Resumes, CVs & Letters of Intent -> This section includes everything from checklists, templates and examples for all common career documents. We even have sample resume’s for every program at Brock! Interviews -> Resources include handouts on informational interviews and general interview tips along with a link to Interview Stream, an online tool which helps you prepare for an interview by providing feedback and tips on non-verbal behavior and communication missteps. Further Education -> All of our “Considering Grad School” information series handouts are listed in this section including resources on teachers college, law school, med school and social work. Going Abroad -> Everything you need to know about international internships, teaching opportunities, exchanges, working and volunteering abroad can be found in this section. A link to Going Global, a country-specific career and employment database containing more the 30,000 pages of information is also included in this section. Online workshops are available on a variety of topics including cover letters, resumes, portfolios, CVs and even basics of interviewing! All workshops completed can be tracked on experienceplus. As you can see CareerZONE is full of a variety of amazing resources to help Brock students in their job search. We hope you find the information and resources your looking for and encourage you to visit us in the Career Resource Centre if you any questions or would like more information on any and all things career related!